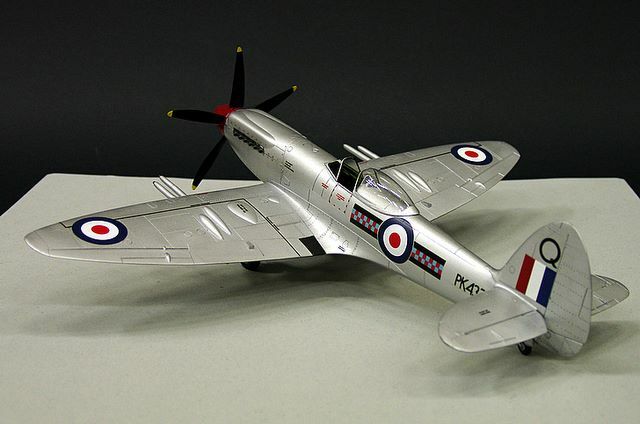 This beautiful Spitfire model, built by Anders Höling, has been photographed during the 2005 national modelling show of IPMS Sweden. 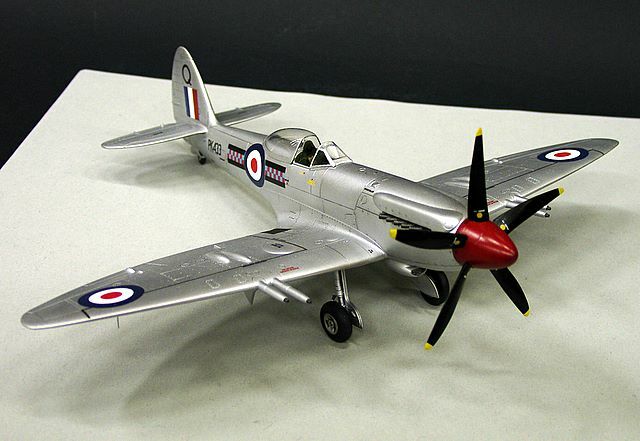 According to the modeller’s construction notes, the Airfix 1/48 Spitfire F.22 kit is a very good rendition of the real aircraft and the level of incorporated detail is commendable. However, fit of parts leaves something to be desired. Areas that needed particular attention (filling and sanding) were the wing-to-fuselage joint, carburettor intake below the nose and the flaps. Some of the kit’s decals were replaced. The improved resin cockpit interior comes from True Details, and injection-moulded kit canopy was replaced with a vacuum-formed one from Squadron/Signal. New antennae were fabricated from copper wire. The cannon barrels and exhaust stacks were opened up with a fine drill. 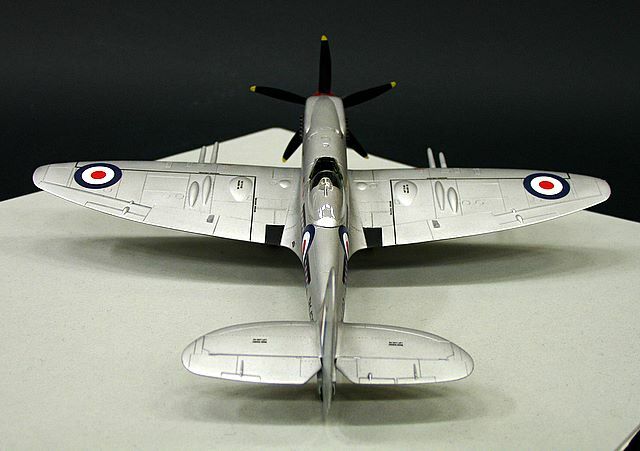 The model was airbrushed with several layers of Tamiya Flat Aluminium acrylics. Every layer of paint was gently polished using a cotton rag, and the result looks very much the part for silver paint (not bare metal finish) or the original. The surface detail was emphasized slightly by running a tip of a pencil along each panel line and into the rivets. Anders sealed the paintwork with four layers of Johnson Klear acrylic floor polish. 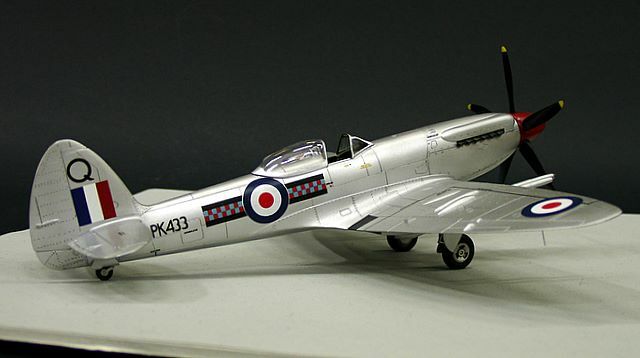 The decals, sourced partially from Airfix and partially from Aeromaster, were applied onto the glossy surface and sealed with Micro Set and Micro Sol. Two additional layers of Klear were sufficient for concealing the decal film. The work was finished with two more coats of semi-gloss varnish to give the model the right, realistic degree of shine. They missed out the compass,u/c controls and made the throttle unit too big.Also the rudder pedals are wrong, but right on the 1a kit.